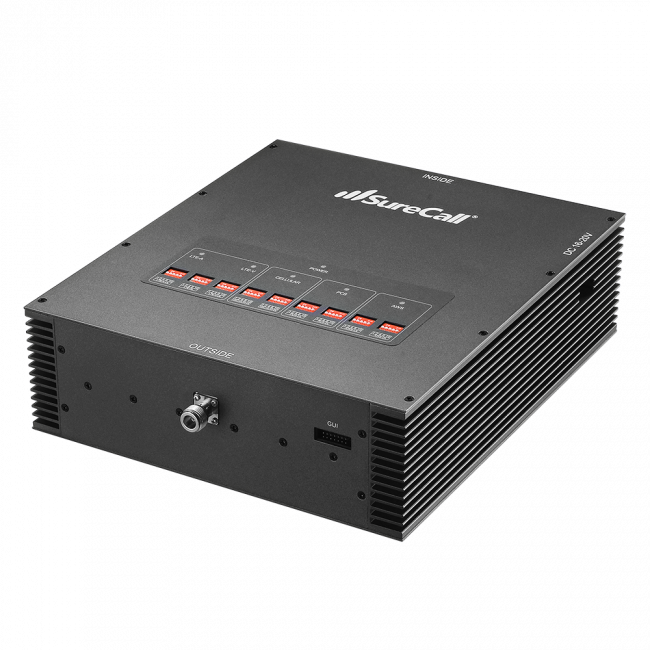 The SureCall Force-5 1.0 has been discontinued and replaced by the new and improved SureCall Force5 2.0 Booster. 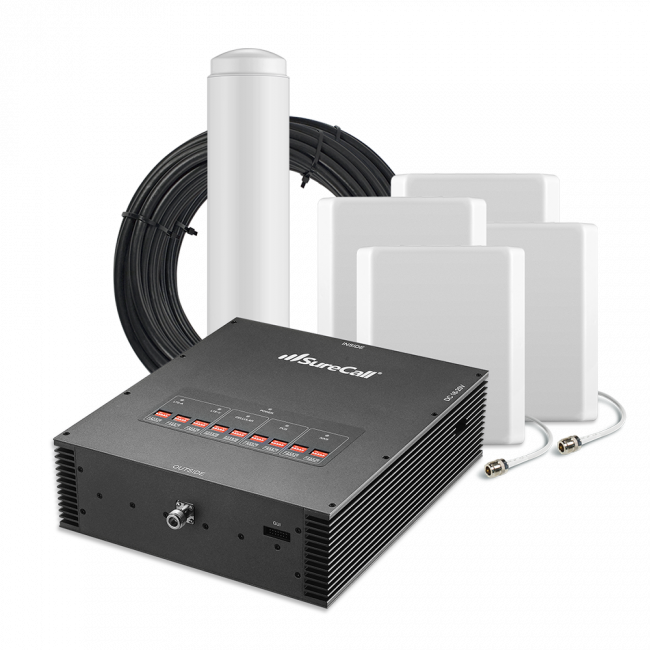 The SureCall Force-5 72 dB Signal Booster for Voice, 3G & 4G LTE is an enterprise caliber cell phone signal booster system that features a 72 dB linear amplifier allowing it to support 100+ voice and data sessions simultaneously. 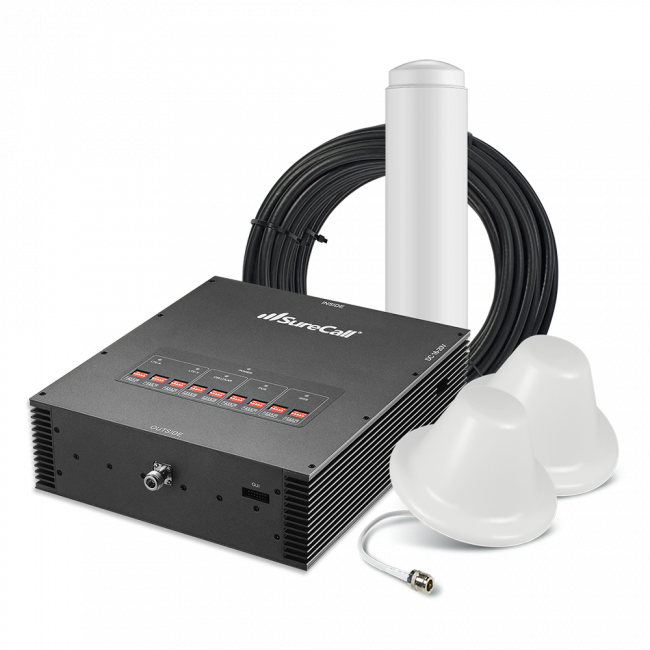 The Force-5 is the ideal solution for situations where you need to cover a large number of people and where cellular calls and data are a important service. 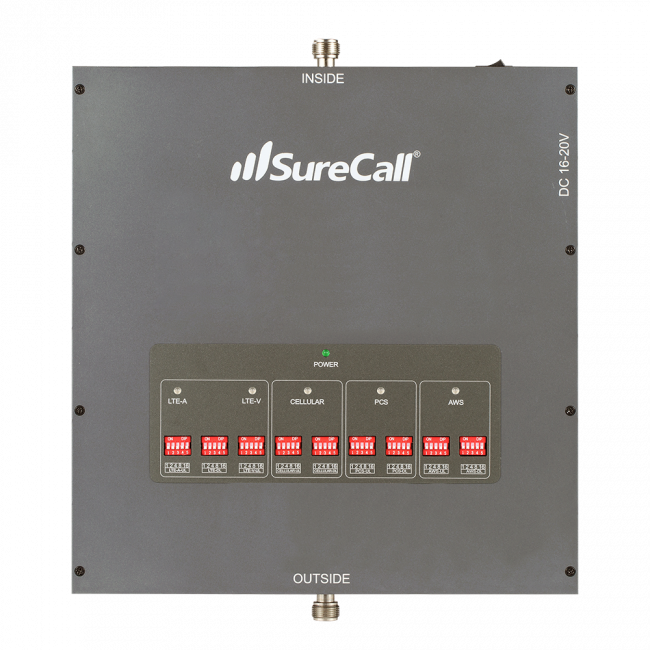 The Force-5 supports the 2G, 3G, 4G HSPA+ & 4G LTE networks from all major carriers giving you fewer dropped calls, exceptional voice quality, and the fastest 4G data speeds. 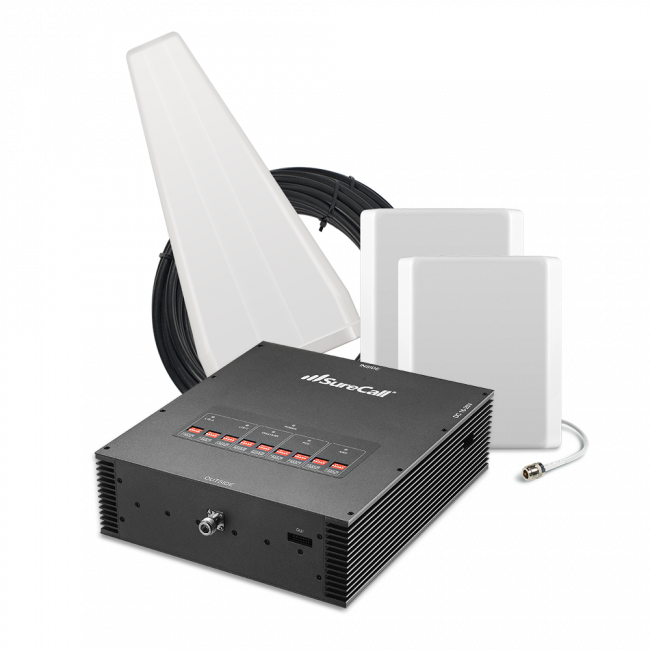 If you're looking to cover a large inside area and/or you have an irregular space, then you may need a custom signal booster kit to provide the necessary coverage to the entire area. 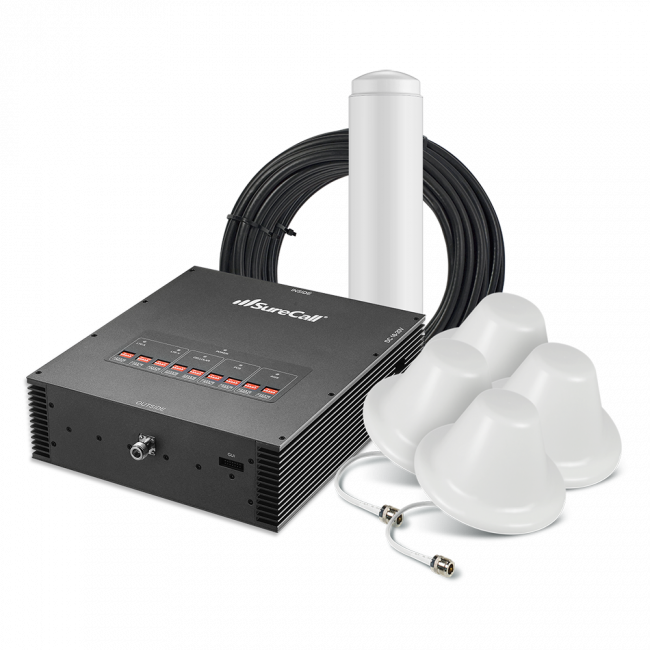 We offer a free system design service that typically uses the SureCall Force-5 and adds on additional components to create the right system for you. 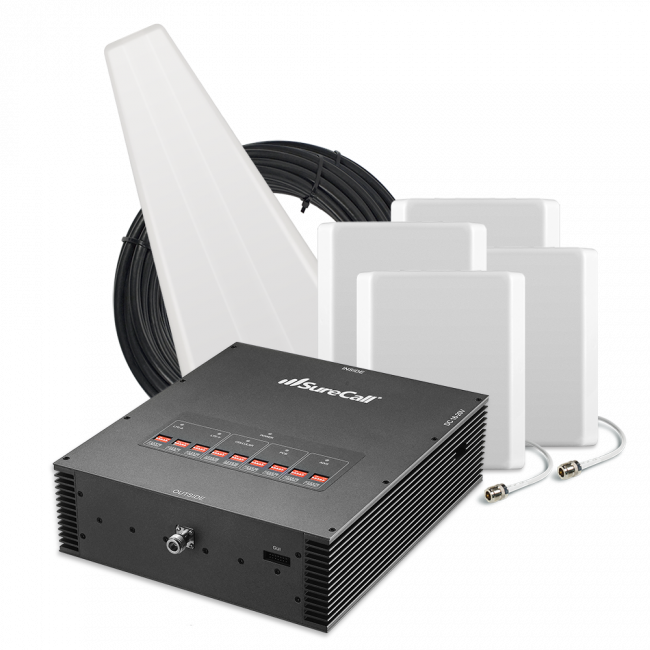 You can find out more on the Custom Kit System Design page or contact us at 800-590-3564 for more details. 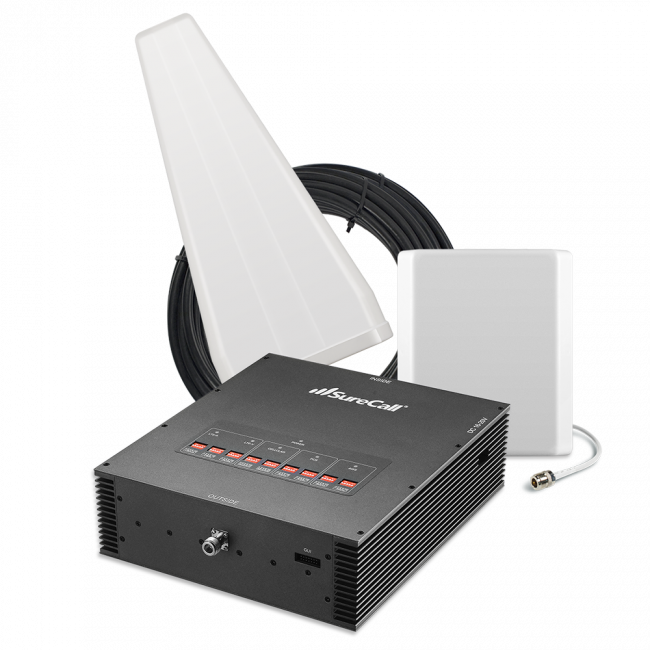 This system does not support WiMAX or Nextel/iDEN/MIKE networks. 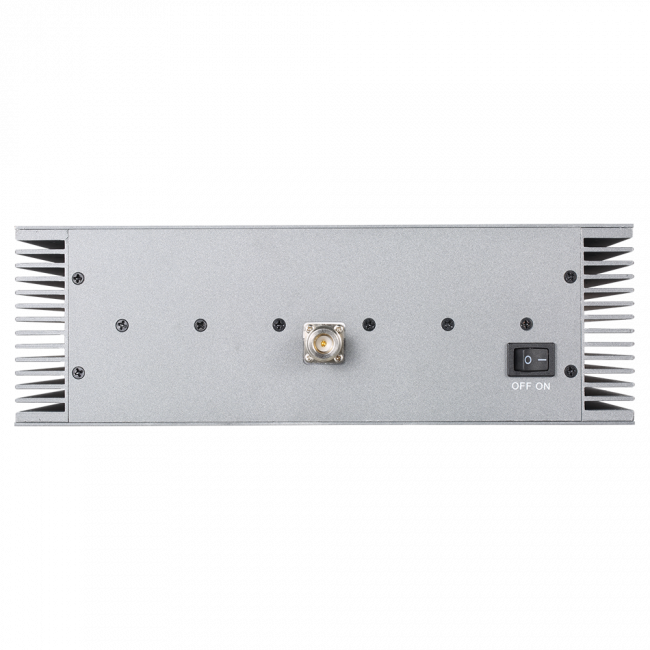 The SureCall Force-5 72 dB Enterprise Signal Booster for Voice, 3G & 4G LTE is configurable and can include different inside and outside antennas depending on your needs. 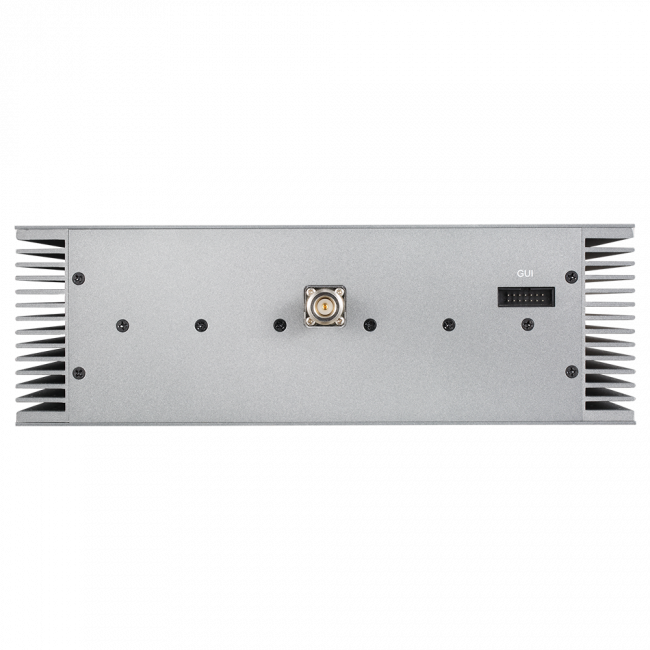 All configurations start with the same Force-5 72 dB 5-Band Enterprise Cellular Repeater/Amplifier and include a 75 ft. LMR400 Ultra Low Loss Coax Cable that is used to connect the outside antenna to the amplifier. 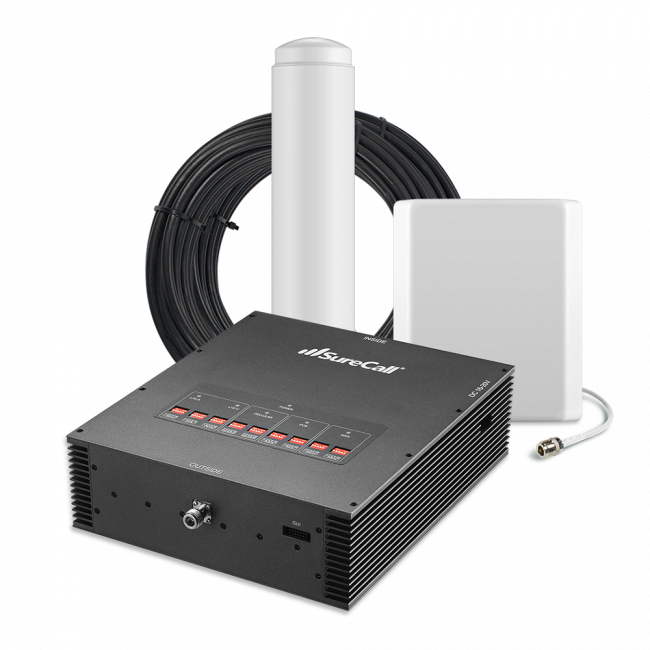 The remaining components can be customized to fit your needs. 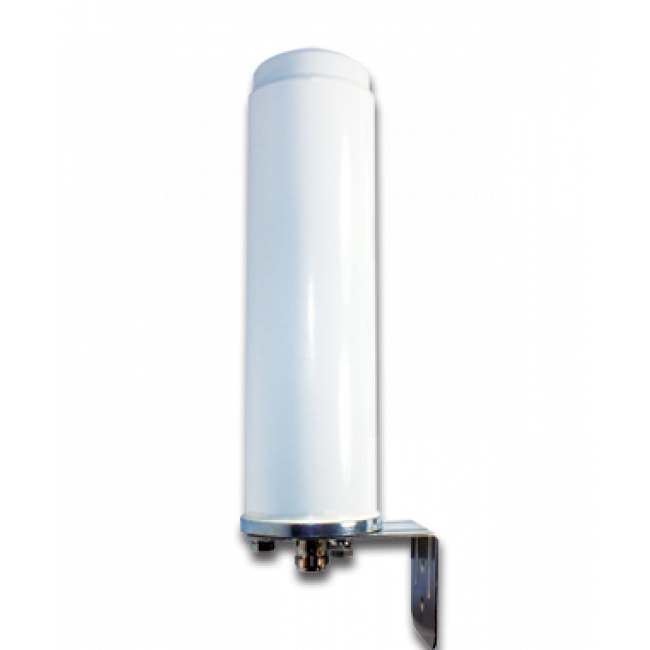 The Yagi Antenna included in the kit is a SureCall CM230W Yagi Outside Antenna with a 10 dB gain. Directional antennas must be aimed and can cover about 45% of the horizon in one direction. 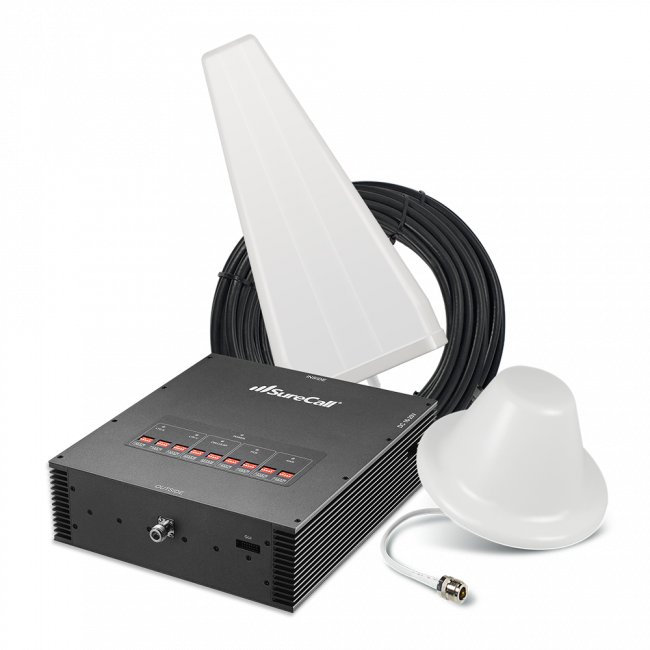 Aiming the directional antenna is fairly easy through trial-and-error, just contact us for details. 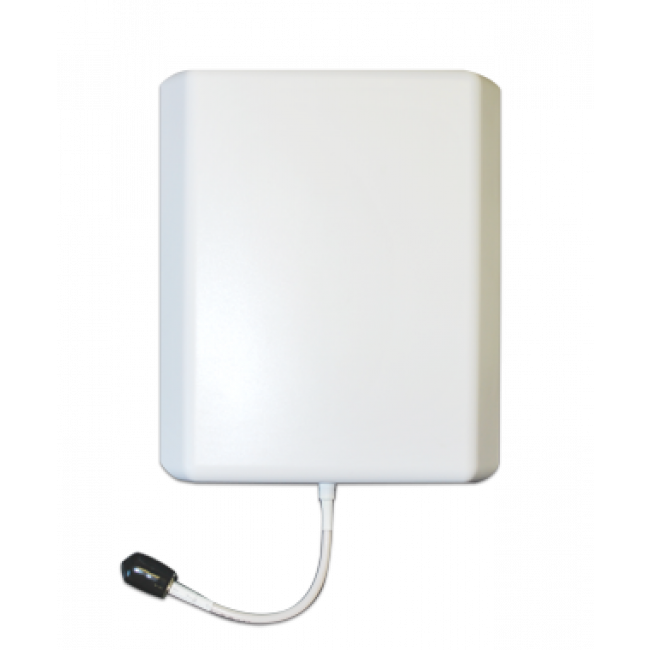 Because a directional antenna must be aimed, you may only be able to boost the carriers with towers in that general direction. 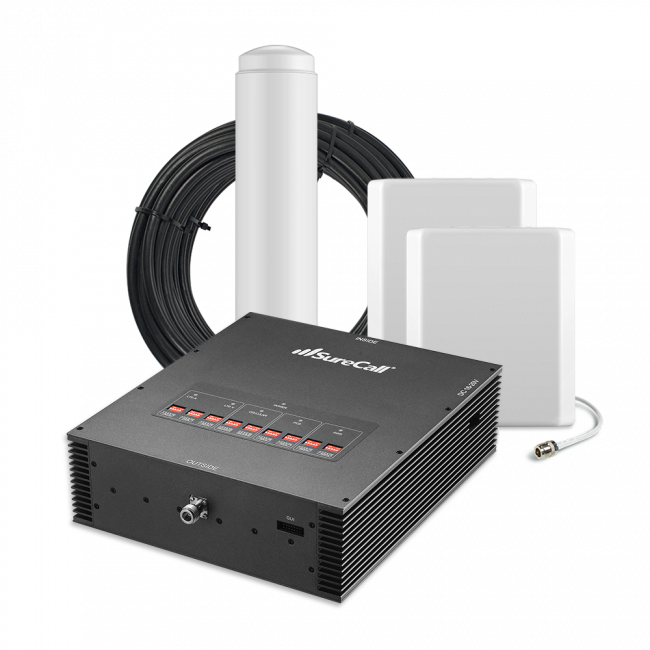 The advantage of a directional antennas is that because it is focused in one direction, a directional antenna is much more powerful so you'll get more coverage inside with a directional antenna. 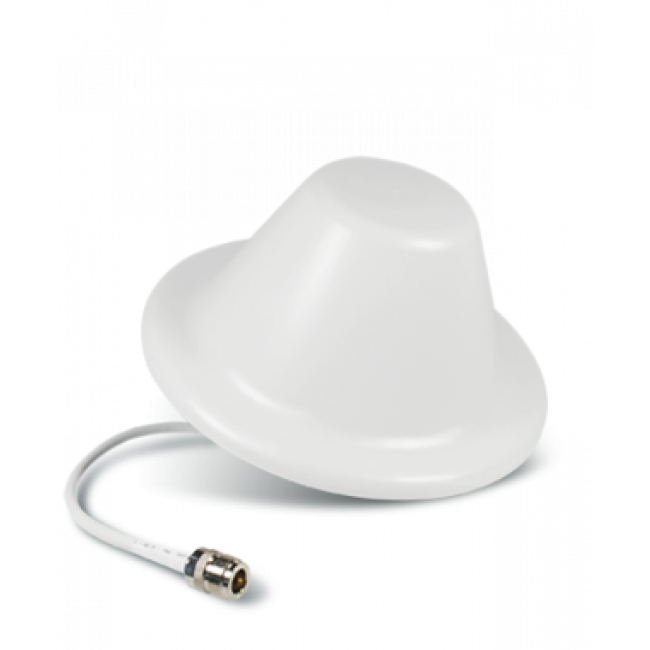 We recommend directional antennas for all situations where you get a 2 bar or weaker outside signal. 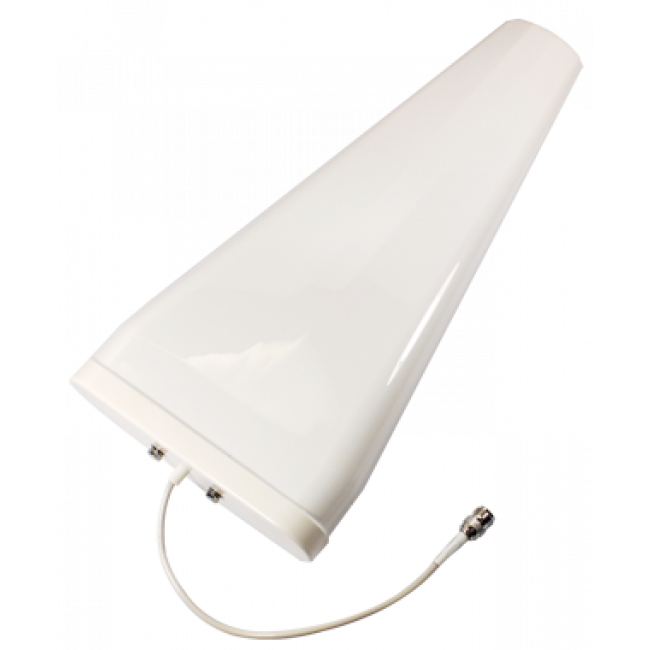 Multiple directional antennas can be used to cover carriers with towers in multiple directions, contact us for details. 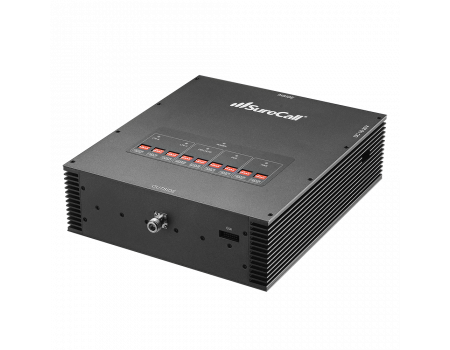 The SureCall Force-5 comes in multiple kit sizes with 1, 2, or 4 inside antennas. All inside antennas will be the same type as you selected previously. 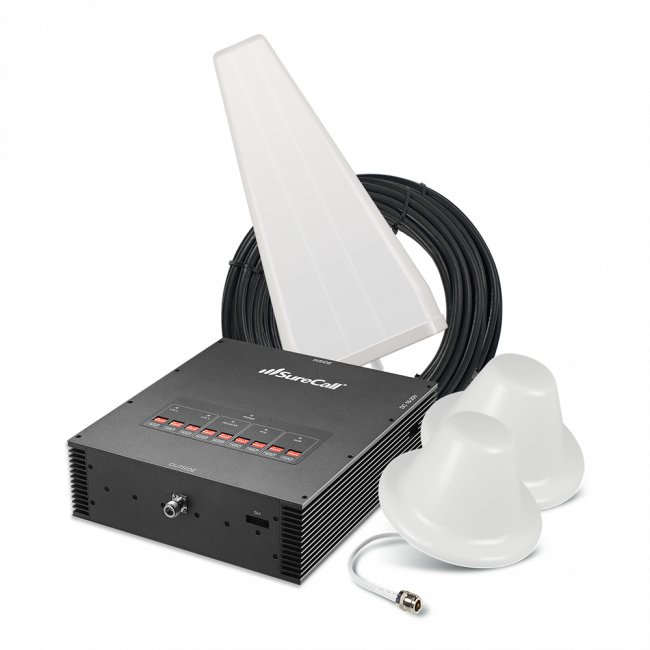 1 Inside Antenna: After the Force-5 amplifier, this kit includes one 30 ft. coax cable that connects to one inside antenna. 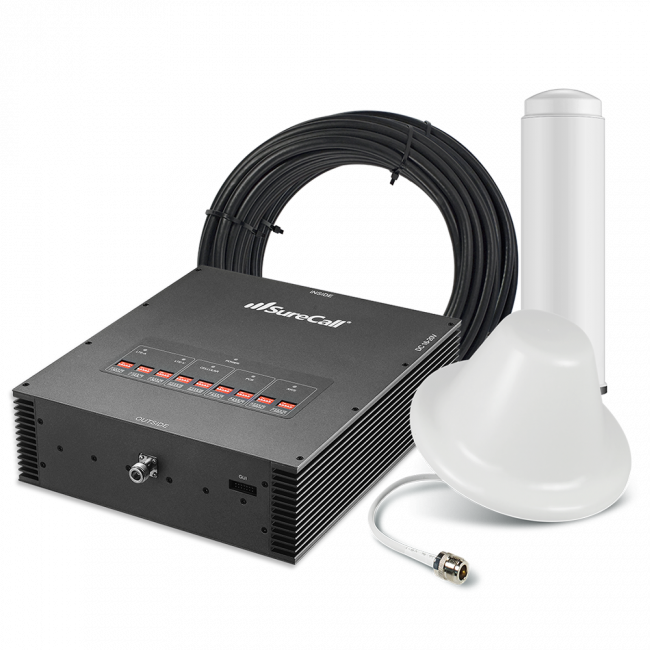 2 Inside Antennas: After the Force-5 amplifier, this kit includes one 30 ft. coax cable that connects to a 2-way splitter, then two 75 ft. coax cables that connect to the two inside antennas. 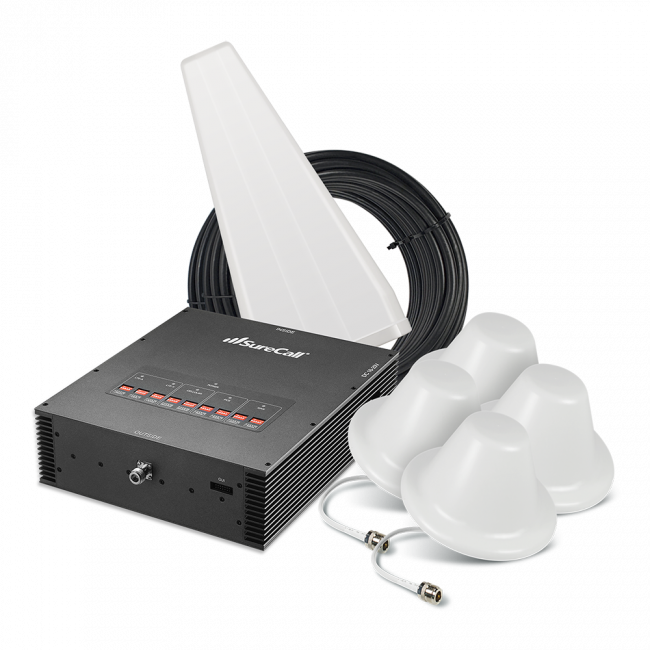 4 Inside Antennas: After the Force-5 amplifier, this kit includes one 30 ft. coax cable that connects to a 4-way splitter, then four 75 ft. coax cables that connect to the four inside antennas.